The global community has spoken loud and clear: more resources must be mobilised to end extreme poverty and mitigate the effects of climate change. Blended finance - an approach to mix different forms of capital in support of development - is emerging as an important solution to help raise resources for the Sustainable Development Goals in developing countries. But scaling up blended finance without a good understanding of its risks could have unintended consequences for development co-operation providers. This report presents a comprehensive assessment of the state and priorities for blended finance as it is being used to support sustainable development in developing countries. It describes concepts and definitions, presents an overview of actors and instruments, and discusses lessons learned from blending approaches, tracking and data, and monitoring and evaluation. Its findings and recommendations are useful for policy makers and practitioners. 'Blended finance will contribute to faster economic growth, but to achieve this it is vital to get donors into alignment. 'Martin Wolf, Chief Economics Commentator, Financial Times'Official development assistance continues to be a key way to finance efforts aimed at eradicating extreme poverty. However, the challenge is more than governments alone can manage. We must all think, work, finance and deliver development differently to mobilize private-sector resources and expertise to help the world’s poorest and most vulnerable people. Canada continues to promote innovative approaches to finance development and achieve sustainable growth for everyone. 'The Honourable Marie-Claude Bibeau, Canada's Minister of International Development and La Francophonie. 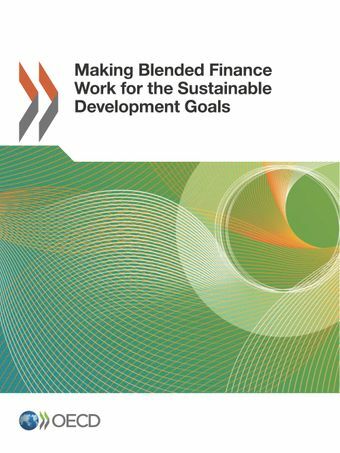 Overview: What will it take to make blended finance work for the Sustainable Development Goals? Webinar: Watch recording of the webinar and learn about the report's findings, learnings from case studies, new figures on blended finance funds and facilities, and the gaps and opportunities around monitoring and evaluation.